Narcissistic Abuse Recovery Expert Kaleah LaRoche and acclaimed author Gregory Zaffuto bring inspirational hope to the used and the abused. From the independent professional to the codependent personality, narcissists can extract the vulnerability from anyone. In fact, Psychotherapist and Founder of World Narcissistic Abuse Day Bree Bonchay examined the latest Diagnostic and Statistical Manual of Mental Disorders and concluded 158 million people in the United States have been affected by someone with narcissistic personality disorder. In the early abusive phase, victims overlook red flags and become too understanding and forgiving. 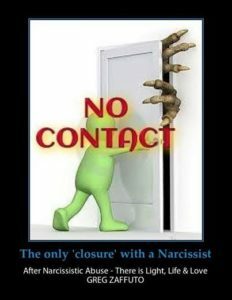 The love for the narcissist blinds them, and it becomes an unconscious addiction. Eventually, the narcissist’s self-projection, triangulation, and gas-lighting schemes begin making the victim feel like everything is their fault until they are devalued and discarded and left with an emptiness to deal with. So, what is the first step towards healing? Going “no contact” with a narcissist as feasibly possible. Block them on social media, e-mail, and phone. If a letter comes in the mail, don’t read it. If a mutual friend brings him or her up, change the subject. If there are children or family involved, do contact through a third party. Cut off all unnecessary information about the narcissist, period. What kind of healing actions can one take to numb the pain? Write a letter to the narcissist. Do not send it, but safely burn the pages afterward. Allow grieving to happen because there is a love loss here. Love from a narcissist is never real, but love one has for another is always valid. The abuse is never the victim’s fault, but self-reflection is essential. 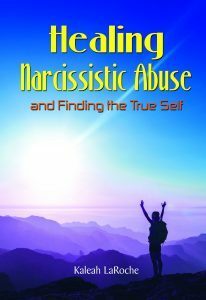 One could spend the rest of their life trying to figure out a narcissist, but it’s crucial the victim goes inward and heals their own wounds that may have attracted the narcissist into their lives, to begin with. That’s where counseling, coaching, and community is most effective. 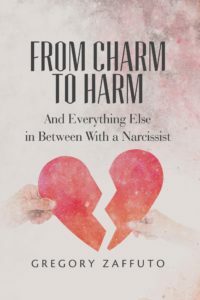 Zaffuto’s community inspired him to write the best-selling book From Charm to Harm and Everything in Between with a Narcissist. This accomplishment would not exist without his personal romance with a narcissist, and that goes for LaRoche’s success as well. Ho there. I am a surviver of Narc Abuse aswell. I am very proud how far I’ve come and what progress was made… to a point! I am now, very stuck. In anothet bad situation with my Son, who has been affected by the voilence and abuse too. I have 2 sons living with me at home, both have handled it thier own way. But the eldest, is now abusive himself. I see his pain and he refuses to get help. Its hard for me to help him, Im not in tjat place. Its a mess. And has stunted my healing journey and I worry how it affects my younger son and my eldest, Im so worried about his jourmey. I wish I was stronger right now. My fight or flight is too reactive. Please help.